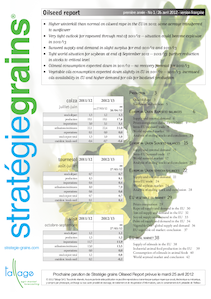 Tallage is an agro-economic research and analysis bureau and consultancy founded in January 1993 specializing in European and world grain and oilseed markets. 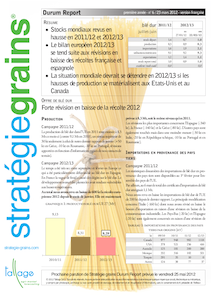  Biofuels markets (biodiesel and ethanol). Take advantage now of 15 days of free trial, without commitment. Tallage is not involved in any trading or grain production. 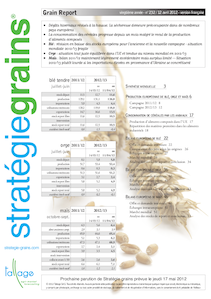 The core of our activity is the publication of Stratégie grains (monthly report and online service), a reference for the analysis of the European arable market.